Books, Book and more books. I'm a book junkie, especially when it comes to books on Christianity and more specifically theology. I have several books on prison ministry, but the heart of SOCPM being discipleship in the Gospel through the teaching of sound doctrine and theology my personal library on books related to theology and Christian teaching is forever growing. The books books below are ones I have in my personal library and have found to be very profitable in my own sanctification. I've also listed books that I do not have in my personal library but have been recommended to me and on my Amazon Theology wish list. A relatively short read at 162 pages when compared to the others listed but is was very helpful in teaching me how best to articulate to my students the misuse. It has caused some lively discussions but a wrong interpretation often leads to a wrong application. The wrong application is usually one that glorifies self versus glorifying God. A good example is Philippians 4:13, often taught as one can accomplish anything one desires because God will give them the physical, mental, emotional, etc. ability to do so. Paul is not speaking of those types of thing but Christ has strengthened him in being content with all the hardships that have befallen upon him. 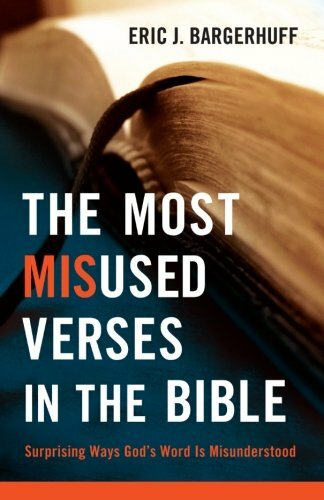 More can be shared but I recommend getting the book and come to know 17 others verses that are often misused. My understanding of repentance grew tenfold if not more. Richard Owen Roberts does not hold back in not wanting to offend someone in their need to repent and repent in a manner how God's Word defines repentance. It's a long read and I had to reread some points to get the fullness of what Owens is teaching. It brought me to a whole new understanding of a true heart of repentance. 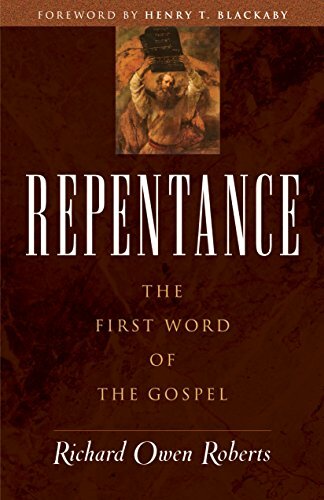 I strongly recommend "Repentance" but be ready to possibly be convicted that the repentance you may have learned is a cheap repentance much like cheap grace both of which are prevalent in many if not most churches today. I mentioned cheap grace above and Metzeger's To tell the Truth" considered as a classic, gives a good teaching between cheap grace and a true saving grace of salvation, The Gospel. Metzger gives insight on how to personally evangelize the true Gospel, which all Christians are called to do. The evangelism Metzger teaches is not the popular manipulative and man-centered evangelism that is being instructed or acted upon by many well meaning Christians but who have not had a sound doctrinal teaching of evangelism. 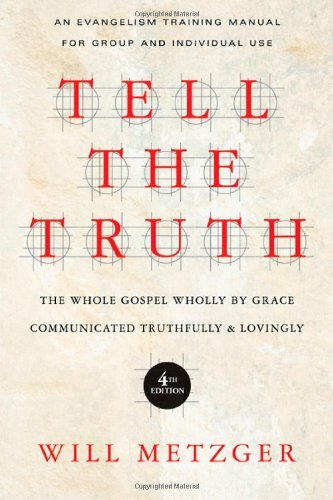 I strongly recommend "To Tell the Truth" as one of the best if not thee best book I've read on evangelizing. 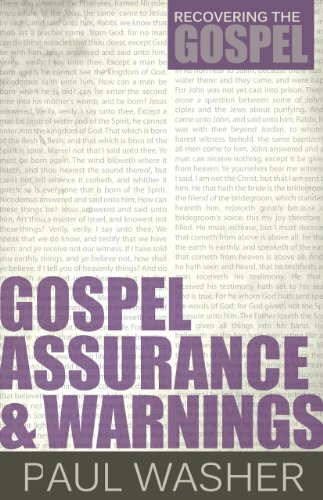 If I was told I could preach on one topic in the prisons it would be 'Gospel Assurance.' I love my students and it grieved me when I once took a short survey asking them 'Are you a Christian?' & If yes, 'Why?' a high percentage could not give a sound biblical answer. Sadly just as there are many who profess to be Christian in the churches today so is the situation in the prisons. Jesus warns us of this in Matthew17:21-23, but many do not think they are one of those Jesus speaks of. I strongly recommend recommend all three books of the 'Recovering the Gospel' series are highly recommended. Central to God’s character is the quality of holiness. Yet, even so, most people are hard-pressed to define what God’s holiness precisely is. 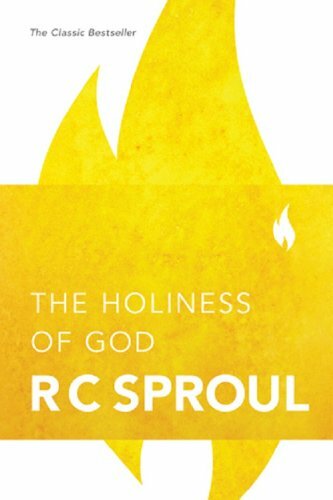 Many preachers today avoid the topic altogether because people today don’t quite know what to do with words like “awe” or “fear.” R. C. Sproul, in this classic work, puts the holiness of God in its proper and central place in the Christian life. He paints an awe-inspiring vision of God that encourages Christian to become holy just as God is holy. Once you encounter the holiness of God, your life will never be the same.I give a very high recommend for 'The Holiness of God"
A lot of Christians today don't even know what systematic theology. A very comprehensive and detailed study of all things theology. Sadly many churches shy away from teaching doctrine and theology so as not to offend and fearful doctrine and theology will cause division. But we are told in Scripture (Titus 1:9, 2:1; 2 Timothy 4:3) to teach doctrine. To have a sound understanding and the ability to communicate God’s Word to others all Christians should have at least one systematic theology book in their personal library. At last count I have five systematic theology books. 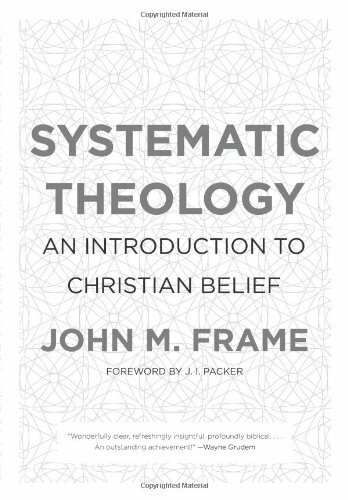 I'm currently reading 'Systematic Theology: An Introduction to Christian Belief" by John M. Frame. I've not really begun to read it in depth but have read great reviews and have had it recommend to me personally by individuals I highly respect in theology.